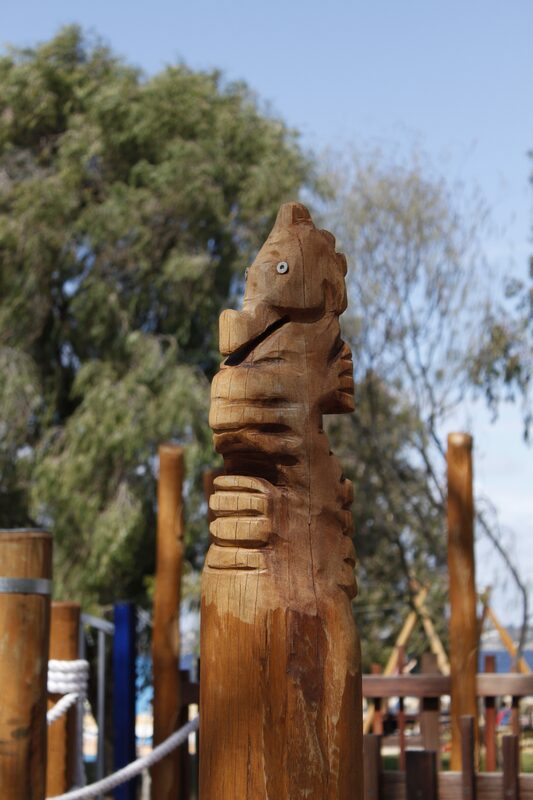 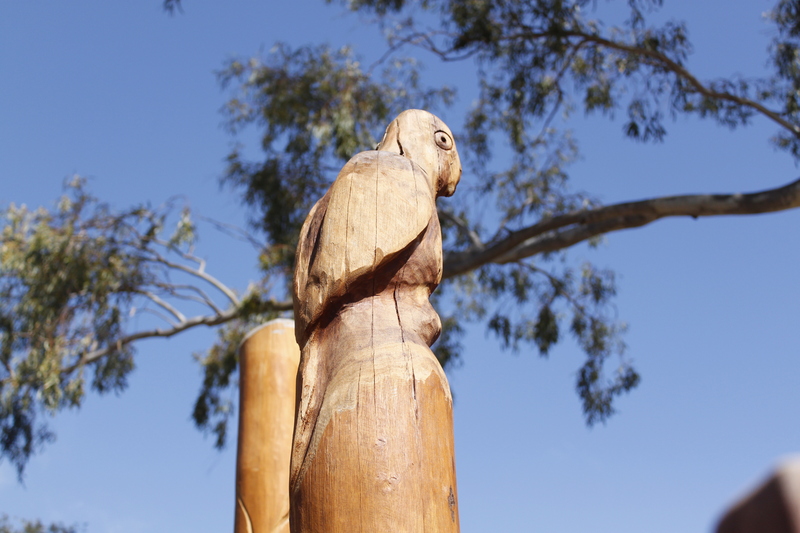 Nature Play Elements: Totem Carvings of 24 assorted artistic carvings on poles depicting animals and nature patterns. 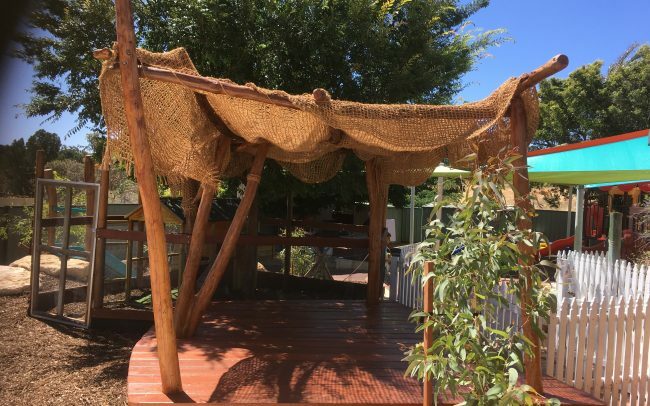 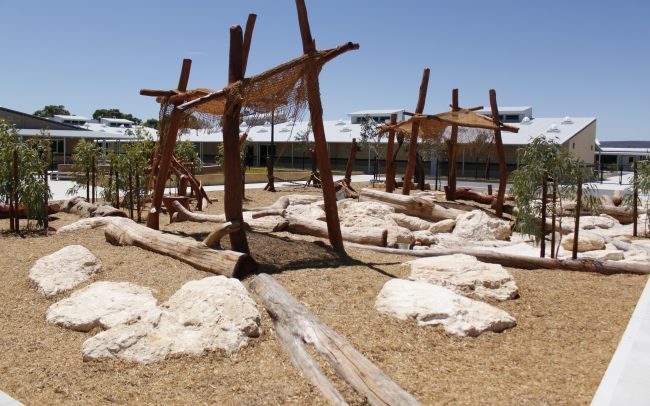 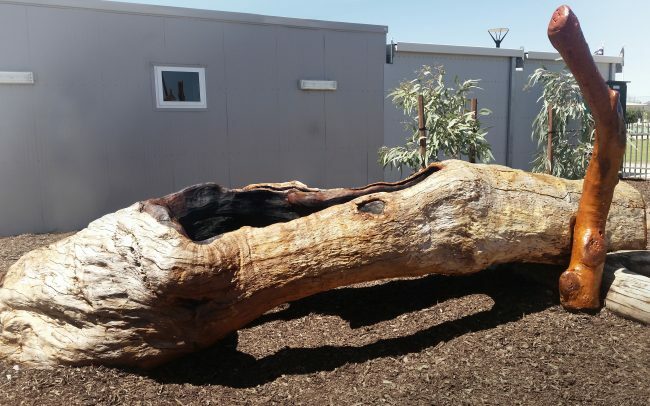 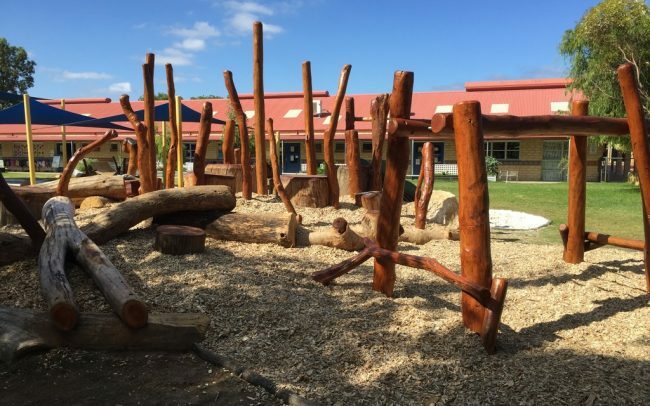 Description: NBP was asked by Fiona Robbé, Landscape Architect designer for the All Abilities Play Space being constructed in Dalkeith, to provide special totem carvings for the Nature based Playground area. 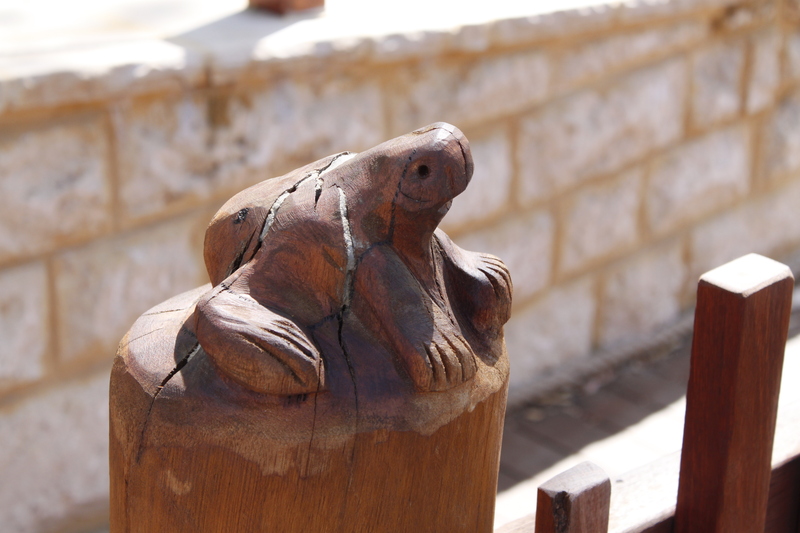 The artistic works were to include a range of symbols reflecting the local natural area, including animal depictions and patterns. 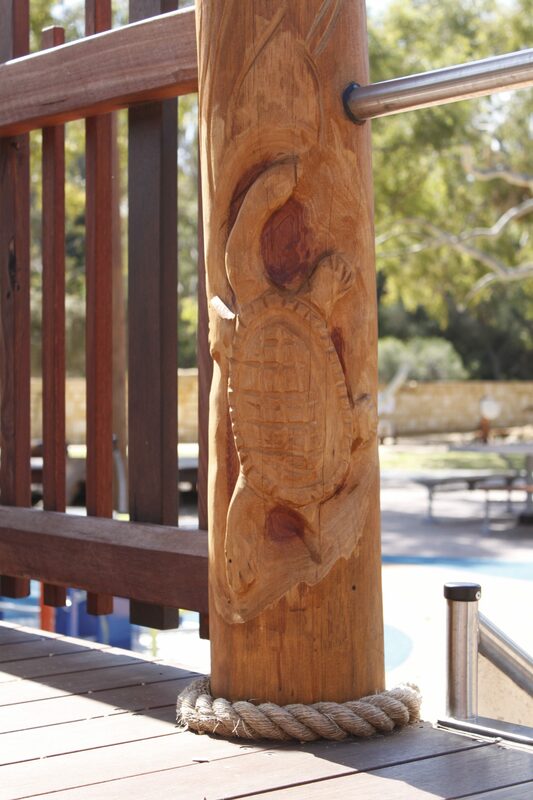 Our talented timber artists were able to complete 24 different totem posts with a varied range of symbols including, dolphins, seahorse, jelly fish, frog, parrot among others, with lovely natural patterns carved into the posts. 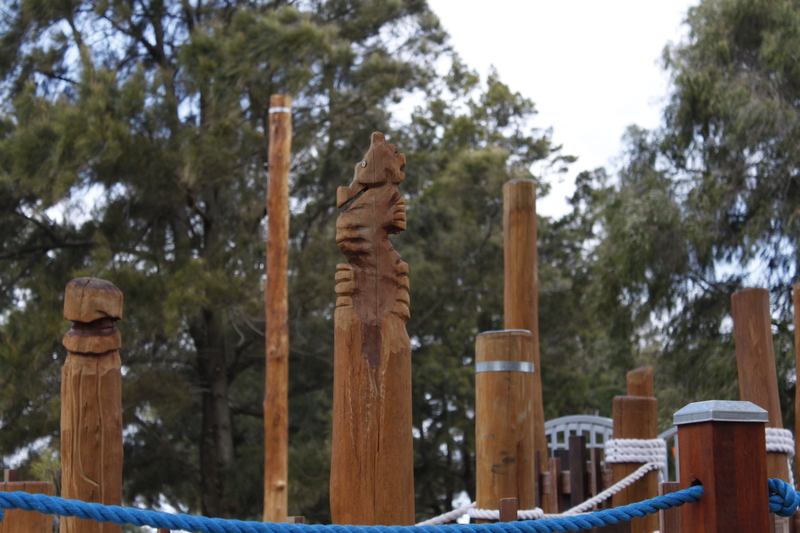 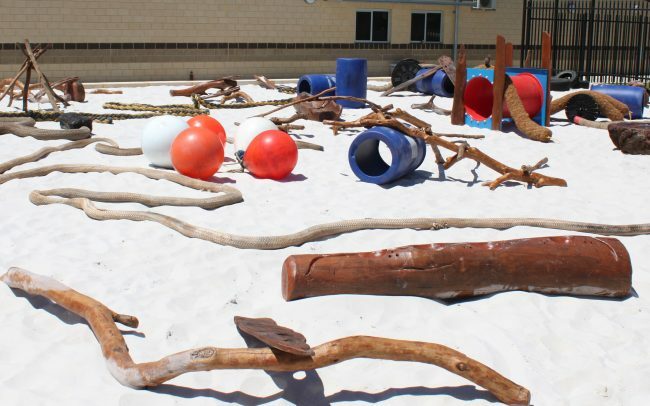 The carvings enhanced the playground elements, giving sculptural and artist value, and added to the Nature based feel of the play space.